Hopkinton is a prime target for solar developers looking to install production facilities. Why Hopkinton? Price. Basically, it’s cheaper to buy and clear open space in Hopkinton than to install solar panels on top of old land fills and gravel banks, over parking lots, or on top of large buildings. One acre of solar panels can keep farms in business and preserve dozens or hundreds of acres from development. On July 18, 2016, Hopkinton Town Council unanimously approved an amendment to allow farmers to install solar panels on their land. Basically, it states that if you own a farm of at least 15 acres, you can install one acre of solar panels. Larger farms may install up to 3 acres. To qualify, you need to file taxes and show income as a farmer. On January 6, 2014, Town Council changed zoning to allow commercial and industrial property to have solar panels. There are few restrictions on commercial property. The perimeter setbacks are small, and lot coverage for this zone can be 70% or higher. The workaround is to change the zoning map. 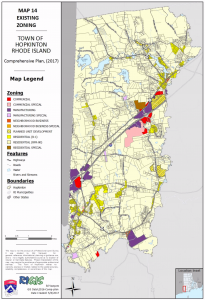 The zoning map is part of the town’s Comprehensive Plan, and Town Council has the authority to change this map up to four times per year. Several developers have asked the town to change residential and farm land to commercial land in order to build solar energy facilities. This is how developers are getting their solar projects into Hopkinton. Developers have been asking Hopkinton to change the town to suit their needs and the Town Council have agreed to do so on four recent occasions. As of this writing, all of the solar projects in town have been approved by Town Council at one time or another. Most are the small one acre installations on farms. Several are sited on commercial property. Most of the commercial installations aren’t built yet, but some exist. You may have noticed the solar installation on Enchanted Forest property. That’s an example of [largely] unrestricted commercial solar. 1 Bank St. was approved at the same time solar was permitted in commercial and industrial zones, and this project spurred the Town Council to enact a solar ordinance to guide development. One solar project has been denied by the town. Hopkinton residents vehemently opposed the project, and three of the council’s five members cast votes that reflected the opinions of the townspeople who spoke out regarding the project. There are projects that currently in the application process. A developer has asked to change the zone of the “Brushy Brook” property to commercial so that solar can be installed. Hearings are ongoing… in fact, there’s a hearing on Monday, March 29. There may be another hearing on the future on a proposed zone changed near Lawton Foster Road South on Main St.
It’s still very much a case-by-case situation. Members of the council serve two year terms. On November 6, residents will vote on new membership. Five people are running for election, and there are five seats. It’s likely that the five candidates will win a spot on the council. However, you aren’t required to vote for five people. You can vote for 0, 1, 2, 3, 4, or 5 positions. Vote only for members you approve of, it’s OK to leave blank spaces. Barbara Capalbo seems to listen to town people and votes in their interest whether it be for or against. Read more on The Westerly Sun. Frank Landolfi has voted for every project. He’s stated recently (and I’m paraphrasing) that he’s interested in diversifying the town’s income so that the town doesn’t need to rely as heavily on citizen’s tax dollars. Read more on The Westerly Sun. Sylvia Thompson has voted in favor of every solar project to date. She recently stated that she wants revenue for the town, and she believes solar development is a path toward that goal. Read more on The Westerly Sun. Sharon Davis is a newcomer with no voting history. She seems opposed to spontaneous re-zoning of property. Read more on The Westerly Sun. Scott Bill Hirst has served on the council in the past, but has no voting history in regard to solar projects. Read more on The Westerly Sun. I try to be objective, but I’m not a journalist. So I’m going to editorialize. I’m not going to tell you how to vote. I’m not going to endorse any candidates. But I’m going to tell you how I feel. 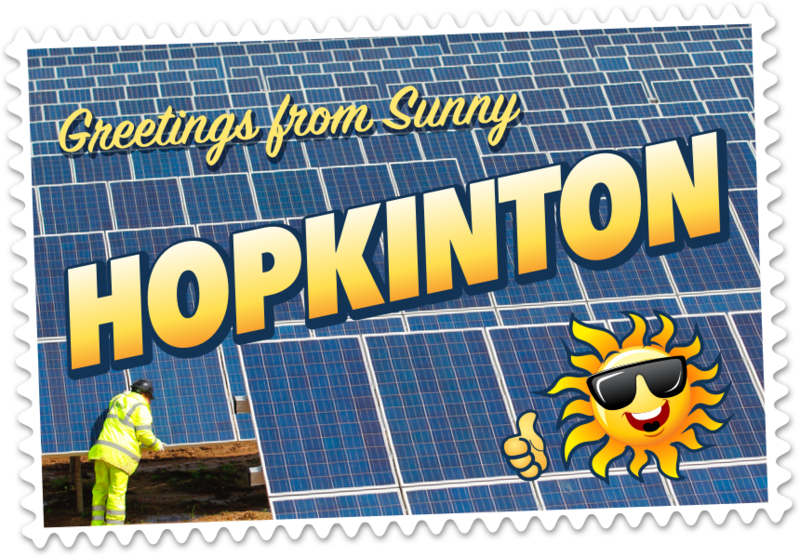 Solar is bad for Hopkinton. Sure, solar on the landfill or on rooftops, or over a parking lot is great. But we don’t have big parking lots. We need business that brings jobs. Businesses that bring jobs that require parking lots (with solar panel canopies!). Our landscape is not ideal for development, but we can have environmentally friendly business near 95 and great hiking trails just a few miles away. I’ve lived in Hopkinton for ten years. I chose to move to Hopkinton because I love its rural character. I don’t want to live next to a power plant. I wouldn’t have moved here if it were industrial. Commercial solar brings all of the industrial drawbacks with none of the benefits. Solar brings no jobs, no economy, and the tax revenue is small. It creates a blight on the landscape, and that landscape is currently the #1 thing that Hopkinton has going for it. Let’s not screw it up! Get Involved! Sign the petition to stop zone changes in Hopkinton. 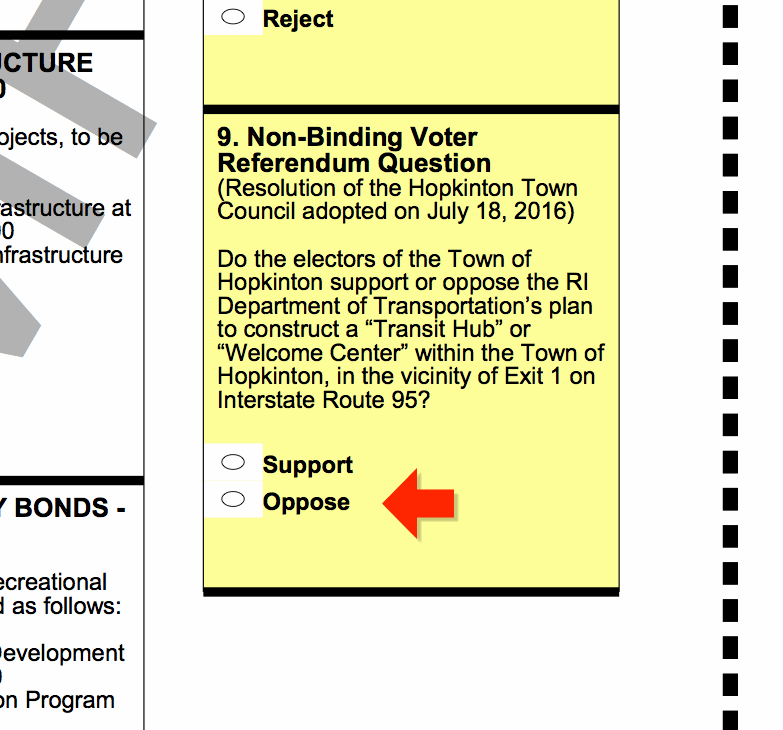 Section of Hopkinton's 2016 Sample Ballot. Vote Oppose on Question 9. On Tuesday, November 8, residents of Hopkinton will have their chance to weigh in on the State’s rest stop proposal. RIDOT didn’t hold a public hearing or otherwise offer the public an opportunity to be heard on their proposal, so this is our time to speak. Vote Oppose on Question 9. Richmond’s Town Council asked RIDOT to build its rest stop in their town, at Exit 3. Richmond wants the traffic to get off the highway and stop at its businesses. There are negotiations that’ll go with that, of course. RIDOT has stated that they’re researching it, but Hopkinton is still the intended build site. 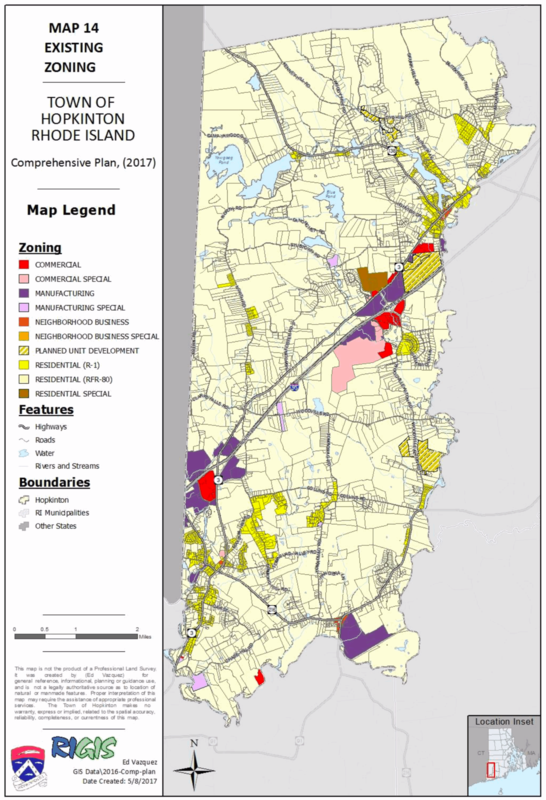 I maintain that the plan is not good for RI at either location, but I don’t have much of a voice in Richmond. It intersects with 138 traffic headed to/from Newport and URI. It puts motorists in Richmond where there are retail options for them to use. It’d be directly adjacent to the existing welcome center, so facility and maintenance would presumably be more cheaper and more accessible. RIDOT remains silent, however. There is nothing on their website about this plan. The Governor is equally silent. A dialog in this State is sorely needed. The State knows that a rest area doesn’t make sense. Let’s not waste $12 million on building a new rest stop. Contact your representatives and tell them to stop plans to build their rest stop. 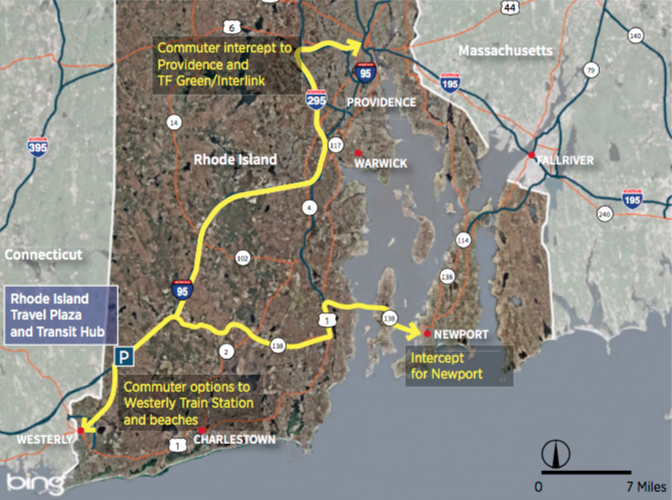 RIDOT suggests that tourists will drive to Exit 1, park their cars, then take the bus to the beach. Who, exactly, is going to leave their car at a highway rest stop and take the bus to the beach? There are ups and downs, and I’m happy to report that things are generally up on the rest stop front. There were three important events recently, and all three are good for Hopkinton. RIDOT attests that a Hopkinton rest stop will fill a 100 mile gap between food and fuel stations. The actual size of the gap is closer to 10 miles. “Drowsy driving” is repeated frequently in RIDOT‘s Hopkinton rest stop proposal. 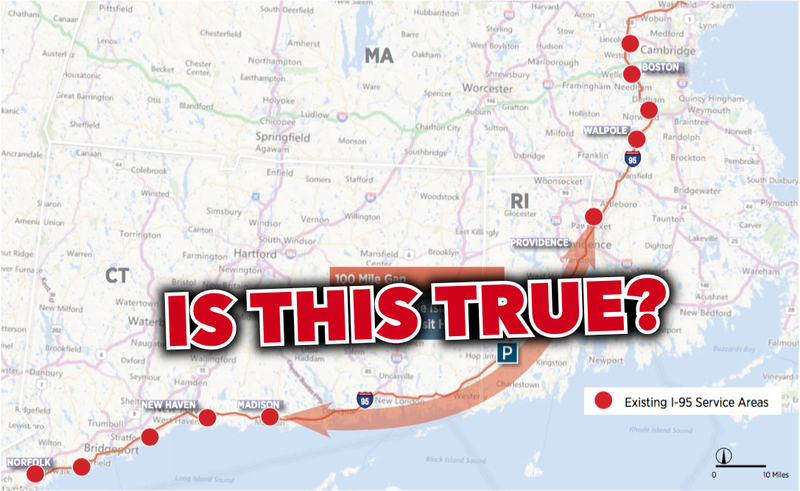 RIDOT claims that a Hopkinton rest stop will fill a 100 mile gap between stops, provide travelers with a place to rest and therefore reduce the rate of accidents related to fatigue. But the fact of the matter is that RIDOT isn’t proposing a typical rest stop, it’s proposing something different. The actual gap is fewer than 7 miles. The State of Rhode Island owns a rest stop in Lincoln — on 295 — and the state couldn’t tell The Providence Journal how much it costs to operate (seriously). Within that rest stop, the state leases some space to a local business man who runs The Outpost. The Federal Government forced him to remove his sign and is in the process of shutting him down completely.